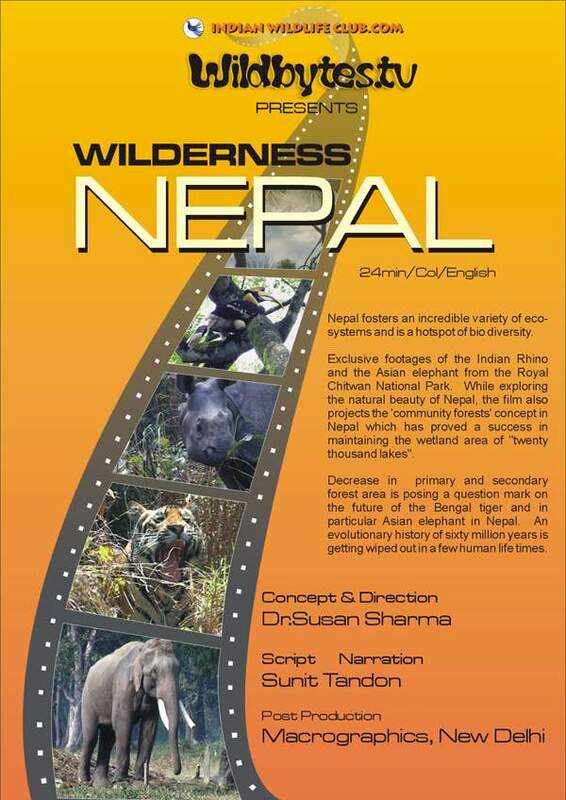 The film looks at the wilderness of the Himalayan region with special reference to Nepal. Nepal fosters an incredible variety of eco systems and is a hotspot of bio diversity. Exclusive footage of the Indian Rhino and the Asian elephant from the Royal Chitwan National Park, which is guarded by the Royal Nepal army from rhino poachers. While depicting the natural beauty of Nepal, the film also projects the 'community forests' concept in Nepal which has proved a success in maintaining the wetland area of "twenty thousand lakes", a paradise for bird watchers. The concerns facing wildlife protection are projected in the overall role it plays in the ecology of the entire area. The evolution and extinction of species is looked at in the backdrop of the spectacular natural history event by which the Himalayan mountains were formed sixty million years ago. Digital animation techniques have helped visualize the event. Unchecked mining in the forested hills causes floods during monsoon and water shortages during the dry season. Decrease in primary and secondary forest area is posing a question mark on the future of the Bengal tiger and in particular the Asian elephant in Nepal. The film is available for telecast in beta-SP /digital format.